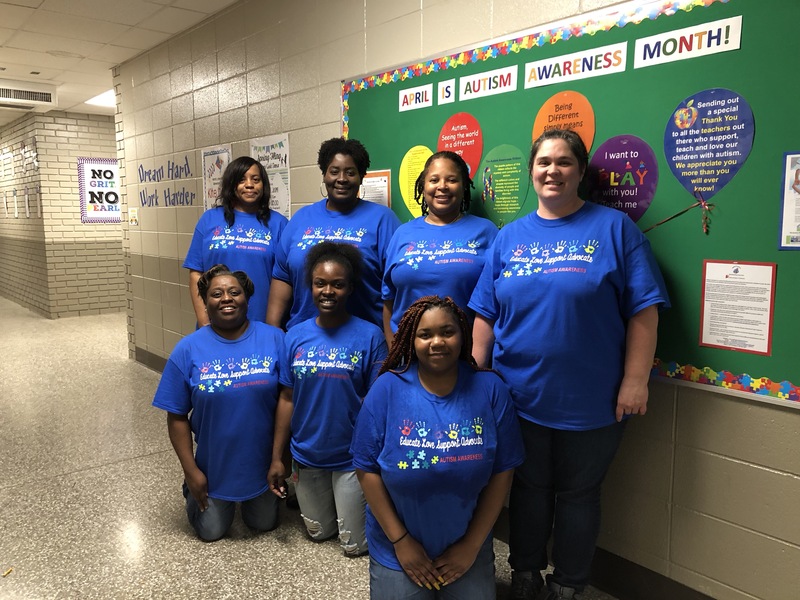 Martin Luther King, Jr. ES is ready for Autism Awareness Month! Our Collaborative department has created a beautiful bulletin board to share information with all the students, teachers and visitors about Autism Awareness Month. They also created T-Shirts to wear to show their support. Way to go MLK Teachers!